"Homeowners and contractors should be partners." It’s a sentiment our Owner, Louis Weiher shares with his father, Tom, who founded Carmel Builders 38 years ago – and it is the cornerstone of our business today. Family owned and operated from the very beginning, Carmel Builders extends that partnership to only the very best artisans and craftsmen in the region. It is what has made us one of the most respected design and remodeling firms in southeastern Wisconsin – and your choice for realizing your vision of the perfect home. A full service design and build remodeling firm specializing in all areas of existing home improvements. 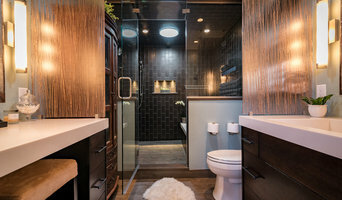 Family owned and operated, this small-scale remodeling firm, based out of Menomonee Falls, prides themselves on integrity, open communication and educating their Home Owners on design decisions. Greg Ward is the founder and operator of Ward Kitchen and Bath. Greg has been in the trades most of his life and enjoys transforming spaces of all kinds. From big jobs to small jobs and everything in between he enjoys the challenge of creating the perfect remodel for each and every customer. He is licensed and insured and offers free estimates. Kim Ward is Greg’s wife and the resident designer at Ward Kitchen and Bath. Kim has over 17 years of design experience and her mission is to give each and every customer the personal service needed when taking on any remodel project. She helps customers with all design aspects of the project and enjoys personally shopping for the perfect decor to complete the perfect remodel. Kim enjoys creating a unique space that is a perfect fit to her customers personalities. Call for an in home consultation. At VKB Homes, we've built our livelihood on remodeling people's homes. From simple to lavish, we've experienced it all and we can help you every step of the way. No job is too big or too small for our knowledgeable crews. Providing uniquely creative custom designs, we work with people who aren't shopping for something ordinary, but something exceptional. We don't simply remodel, we redesign. We don't simply redecorate, we recreate. Because we are not selling prepackaged plans... we're sharing our passion for shaping your vision. We are confident you'll like what you see. Please contact us today to schedule an appointment for a free estimate. We look forward to working with you on your next project. *Authorized Waypoint Living Spaces Dealer* Visit our Kitchen & Bath Showrooms in Madison and Brookfield, WI. Since 1980. We offer full remodeling services, new construction services, Do It Yourself or anything in between. Talented Designers will meet with you at your home, field measure, prepare drawings, recommend products and provide full pricing of your project including labor. REMODELING At Allen Kitchen and Bath, we do remodeling your way! We believe that making your home more beautiful is a result of great design, cost effective planning, and most importantly, listening to you. Start with a visit to one of our inspiring show rooms or schedule an in home consultation with one of our experienced designers. Our designers are experts at creating functional layouts. Whether you are looking to remodel a kitchen, bathroom, laundry room, or mud room, our designers can do it all. After your consultation, your designer will draw your space in a 3D rendering program and select materials and finishes that compliment your personal style. You are then welcomed back to the Allen Kitchen and Bath show room to go over an all inclusive quote. Once the design and selections are finalized, Allen Kitchen and Bath carpenters and trade professionals will work with your designer to create your new space. 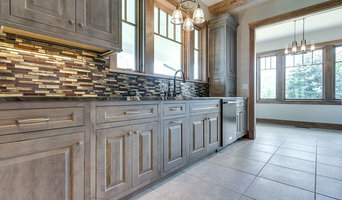 NEW CONSTRUCTION Builders specialize in constructing your new home; Allen Kitchen and Bath specializes in making your new kitchen and bathrooms even more spectacular than you imagined. As soon as you have house plans from your builder, schedule an appointment with one of our designers, and we can show you what your space would look like in 3D. We have all the products you need to create the kitchen and bathrooms of your dreams. 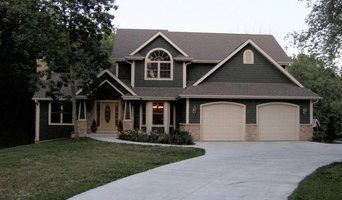 The Cabinetree is an award winning full-service remodeling company located in Brookfield, WI. Over the past 31 years The Cabinetree has grown into one of Wisconsin’s most respected remodeling firms. Our goal is to not only create new and innovative spaces for our clients, but to also improve their overall quality of life. With a staff of designers, carpenters, electricians, plumbers, tile setters, and anything in between there is no project we can’t handle. Project management is a top priority at The Cabinetree with an on staff manager that is there to keep clients updated on progress and make sure your job is completed on time. The Cabinetree far exceeds the industry standard for completion time all while maintaining the quality craftsmanship that our clients have come to know and expect with an approval rating of 99.8%. Building a home? Come see our talented designers we will design your space and supply cabinets for your new home. Special builder/new construction pricing available. Kitchen Remodeling, Bathroom Remodeling, Rec Rooms, Countertop Replacements, Whole House Remodeling, Laundry Room Remodeling, Mudroom Remodeling, the possibilities are endless…..
Family-owned remodeling firm, intent on making one's house their HOME. Attention to detail, design and creativity, and an intense belief in Customer Service set us apart. 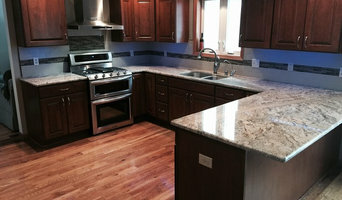 *Authorized DuraSupreme Dealer* North Shore Kitchen and Bath is a family-owned, full service custom remodeling company that has been serving the Metro Milwaukee area for nearly 20 years. *Authorized Pella Certified Contractor* With over 32 years in the business, Paul Rasmussen Construction has the skills and experience to take on the most challenging of projects. Renovating indoor living areas such as kitchens, recreational rooms, and bathrooms will enhance your day-to-day functionality and enjoyment. Adding a new deck or even a pergola or gazebo can greatly increase the livability of your outdoor living space. There is no job too large or too small for our craftsmen to design and complete to your satisfaction. As one of the few Certified Pella® contractors authorized in the State of Wisconsin, we take pride in the quality of workmanship in all of our window and door installations. Currently, the triple glazed PELLA Designer Series window is one of the most popular, offering great style as well as energy efficiency. Reviewing our Portfolio will provide you with a small sample of the quality work we have completed. We would be happy to share additional samples after better understanding the space you desire. Thank you for taking the time to consider Paul Rasmussen Construction. We look forward to discussing your project with you and bringing your vision to life. We're known for our collaborative approach to architecture. Our clients bring us their needs, their wants, their dreams. And we provide the vision and expertise that gives those dreams life, creating exceptional designs that reflect the client's personality and lifestyle. We consider is our greatest compliment that most of our work comes from referrals. Our philosophy is simple - home should be refuge for your body, peace for your mind, and a place to rejuvenate your soul. This belief impacts every design decision we make. As specialists in residential additions, remodels and renovations, we strive to maintain historic character of each home while seamlessly integrating modern innovations that make life easier and more comfortable. It is in the details where our work truly shines - in the balance of light and dark, in the sense of proportion and overall scale, and in the feeling of well-being and delight one experiences in a well-designed living space. Connor Remodeling & Design, Inc.
Award winning residential remodeling firm specializing in additions, bathrooms, kitchens & lower levels. Family owned and operated with over 50 years combined experience. What does a Kohler kitchen and bath remodeling expert do? Licensed Wisconsin kitchen and bath remodelers are contractors who specialize in altering the structure of an existing space, rather than building one from the ground up. Because he or she must deal with a previous builder’s work, the job can get more complicated than new construction. You might wonder why they often specialize in both kitchens and bathrooms, but if you think about those two spaces, they actually have a lot in common. Kitchens and bathrooms include an abundance of fixtures that require careful planning and installation, including sinks, faucets, tubs and toilets that all need water hookups and drainage. They also use similar materials, such as tile and stone for countertops and flooring, due to the nature of their use. So it makes sense that Kohler kitchen remodelers and bathroom remodelers be one in the same. A bathroom or kitchen remodeler translates architectural plans from page to reality; some are also trained to provide design services so that you don’t have to hire a separate pro. Like a general contractor, a kitchen and bathroom remodeler in Kohler, WI is responsible for hiring and supervising subcontractors and providing materials when necessary. They also should have a thorough knowledge of Wisconsin building codes and construction-related legal issues, as well as current design and product trends. Here are some related professionals and vendors to complement the work of kitchen & bath remodelers: Woodworkers & Carpenters, Kitchen & Bath Designers, Interior Designers & Decorators, Architects & Building Designers, General Contractors. Find a Kohler kitchen and bathroom renovator on Houzz. Narrow your search in the Professionals section of the website to kitchen and bathroom remodelers in Kohler, WI. You may also look through photos of Kohler, WI spaces to find kitchens or bathrooms you like, then contact the bathroom or kitchen remodeler who worked on it.